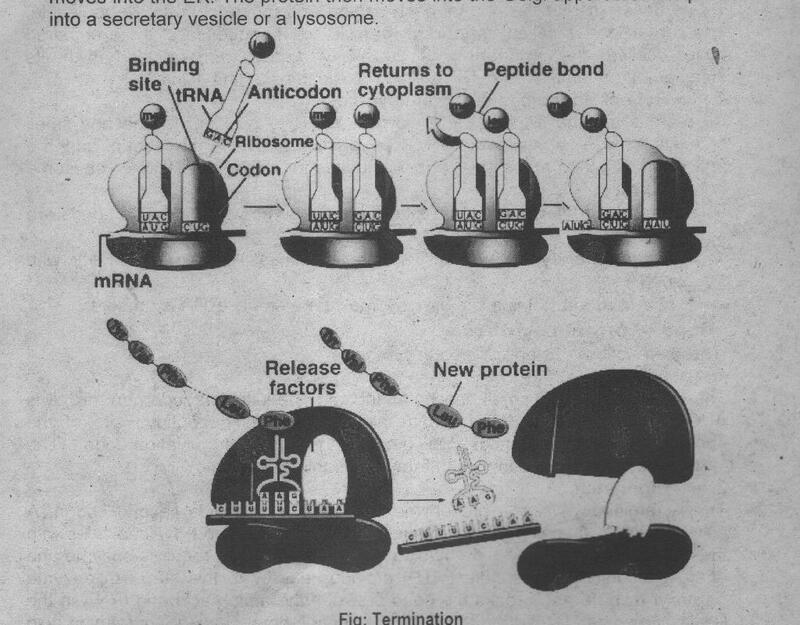 The synthesis of protein at the ribosomes form mRNA is called translation. tRNA has complementary pairing of bases. But tRNA has some unusual bases. These bases disrupt the normal base pairing and forms loops in the molecule. The center loop is called anticodon loop. 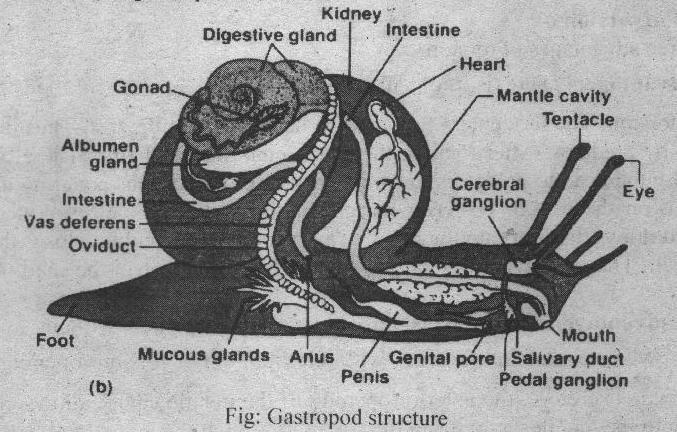 It has a sequence of three unpaired bases called the anticodon. The mRNA codon form pairing with its complementary anticodon of tRNA. The tRNA carries amino acids. A site (aminoacyl site): This site contains successive (next) amino acid with its rRNA. E site (exit site): It is a site of ribosome where empty tRNA is present. The mRNA binds to a small ribosomal subunit. The initiation codon on mRNA is AUG. The initiation code of mRNA aligns with the P (peptidyl) site of the ribosome. A tRNA with methionine binds to the mRNA on initiation codon. The large subunit joins this complex. It forms a complete ribosome. The A (aminoacyl) site is present next to the P site. It has second codon. A second tRNA attaches on this codon with its anticodon. Two tRNA molcules with their amino acids are now side-by-side in A sites. This step requires enzyme and energy. Guanine triphosphate (GTP) provides energy to this step. An enzyme peptidyl transferase breaks the bond between the amino acid and tRNA in the P site. It also catalyzes the formation of a peptide bond between that amino acic and the amino acid in the A site. The mRNA strand then moves along the ribosome. 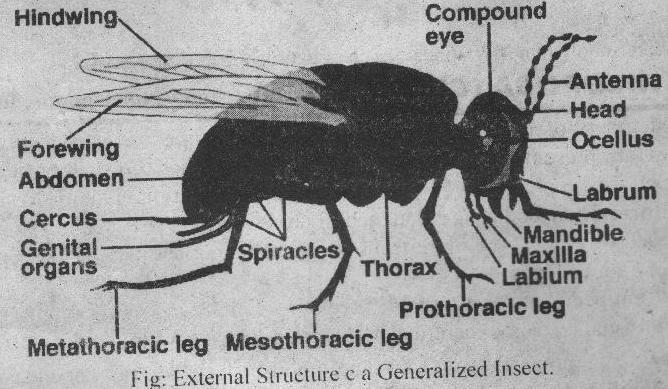 It exposes new codon. The tRNA with their two amino acids moves to P site. A third tRNA can now enter thE exposed A site. This process continues and all the entire mRNA has beer translated. The ribosome reaches at.the end of the mRNA. The polypeptide chain has been synthesized. Termination codon like UAA comes and translation ends. Protein synthesis occurs on ribosomes. Most of the ribosomes are attached on the surface of the rough endoplasmic reticulum. The newly synthesized protein moves into the ER. The protein then moves into the Golgi apparatus. It is packed into a secretary vesicle or a lysosome.